At Woolverstone, on the River Orwell using a Hawk 20 sailing boat (up to 4 persons) and a Wheely power boat (up to 8 persons and 4 wheelchairs) we take sailors out on the water for approximately 2 hours either up river towards Ipswich or down river towards Felixstowe depending upon the wind and tide. These sessions are generally for those who will not learn to sail solo. Carers come sailing with the group. Who goes in which craft is at the discretion of the Duty Senior Instructor. We can provide waterproof clothing and buoyancy aids however you should consider brining hats, scarves, gloves suitable footwear and on the odd occasions sun block. 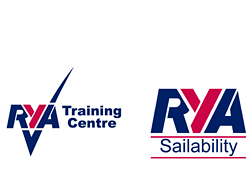 Although these spaces are applied on a first come first served basis, priority will be given to sailors with no other bookings. To apply for these spaces please email your request to info@woolverstone project.org.uk with details of sailor, personal assistants and number of wheelchairs you would like to bring on board.